I may be a little late to the "sum up the previous year" game, but I'm doing it nonetheless. To be fair, I did start this post and make the picture montage before New Years Eve, but with 2 weeks straight of house guests, I'm just getting to it now - that's just how it goes sometimes. Life. 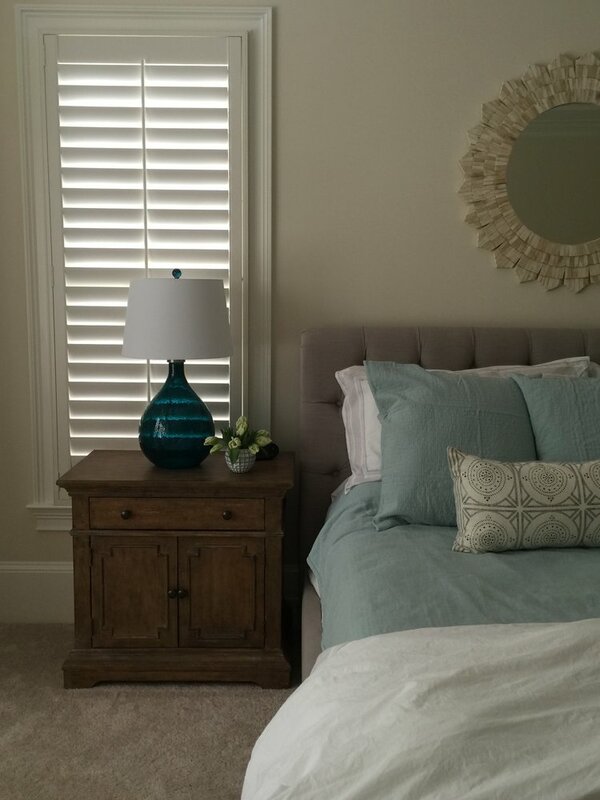 We also completed this lovely master bedroom - the quickest, most motivated client I've worked with to date! This sitting room makeover was also one of my favorite projects of 2016 - featuring an incredible rug from HomeGoods - the find of the century! There were many more projects over the course of the year, some that were featured on the blog and some not, but all of them special to me in their own way. Thank you, thank you, thank you to everyone that invited me into their home and trusted me to create a space they would love. I am forever grateful. In addition to our many client projects, we also tackled a variety of projects on our own home - a front of the house makeover including new paint, front door and lighting (I haven't gotten around to sharing the lighting, just more to look forward to) as well as new landscaping and walking path! Yes, it's been a good year! Yup, it's shaping up to be a good year and I'm excited to jump right in and get it started! Thank you to everyone...family, friends, supporters and clients for sticking with me throughout 2016 and here's to a great 2017!